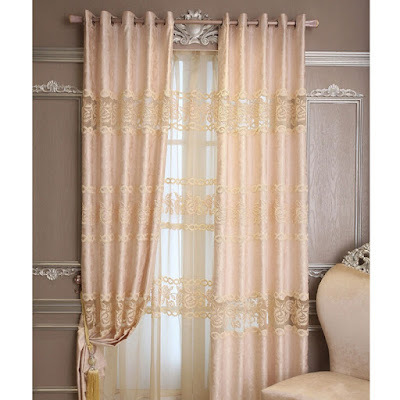 Lace Curtains - Be Glossy In and Out! The curtains are extremely important for a room.The curtains remain present in interior design and the market offer the possibility to find something suitable for any room. 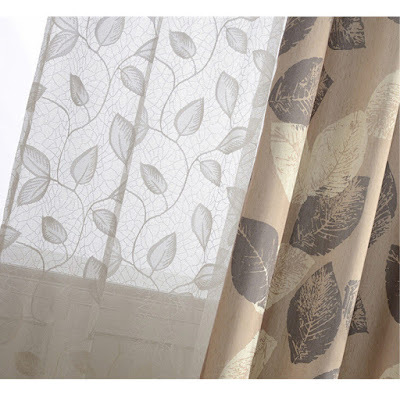 Curtainsmarket.com is one of the online shopping which offering a wide range of curtains and shower curtains in order to meet a variety of house styles. 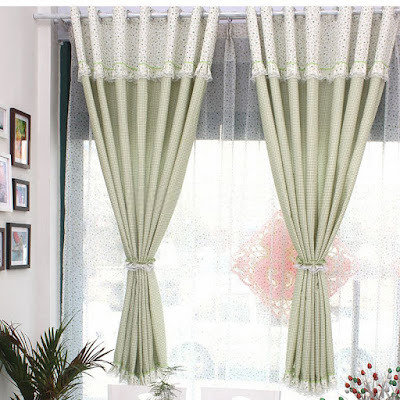 The curtains can transform an ordinary room into original one, relaxing and harmonious. The curtains have many uses in the home. Help control the light entering in the room and creates a pleasant ambience depending on the colors and materials chosen. The curtains in bright colors can make a small room appear larger and more spacious, while dark curtains gives a feeling of comfort. A lace curtain is suitable for a living room facing south or west, turning light into an elegant embroidery made of light and shadow. 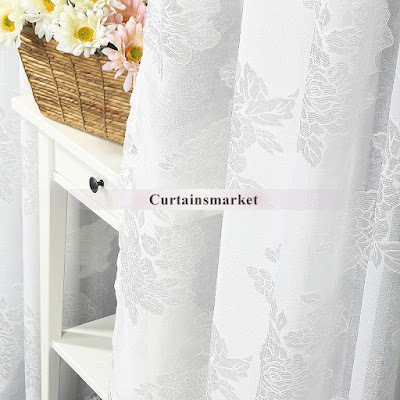 White lace curtains may transmit a feminine personality, purity and innocence. 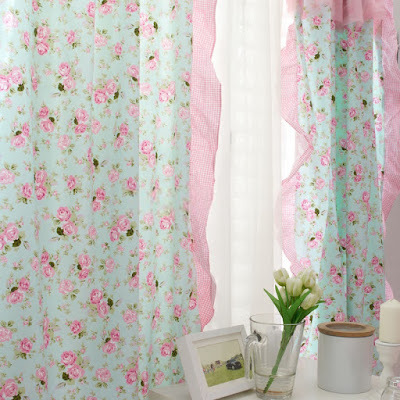 The floral pattern provides warm to your space and fits well to a romantic and delicate styles. If you add a few pots with flowers, you will definitely create a welcoming atmosphere. Give a freshness to the room of your child by choosing a green plaid and floral pattern. If you choose to purchase from their site you have free Shipping and a $3 Coupon.